Easter Egg Hunts 2018 in Savannah, Pooler, Richmond Hill, Bloomingdale, Hilton Head Is. 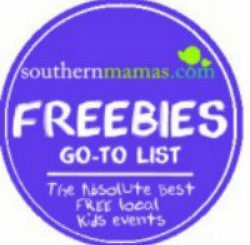 SouthernMamas.com Easter Egg Hunts Guide 2018 includes free egg hunts, Easter festivities in Savannah, Richmond Hill, Bloomingdale, Hilton Head Is. Plus, the annual chick hatchery, where kids can hold newly hatched chicks will be a different location this year. 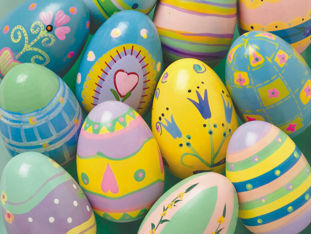 Posted in Uncategorized | Comments Off on Easter Egg Hunts 2018 in Savannah, Pooler, Richmond Hill, Bloomingdale, Hilton Head Is. Sat. March 17 2018, 10:15AM. See the parade route here. Authorities will begin towing any vehicles parked on the street at 12:01 a.m., including the vehicles of residents. Vehicles will still be permitted to drive through the enhanced security zone until 2:00 a.m.
From 4AM-7AM, no one is allowed into the enhanced security zone due to a security sweep of the area. During this time, only residents who are already in the enhanced security zone will be permitted in the area. Residents are subject to be stopped at this time and will be asked for identification and proof of residence. 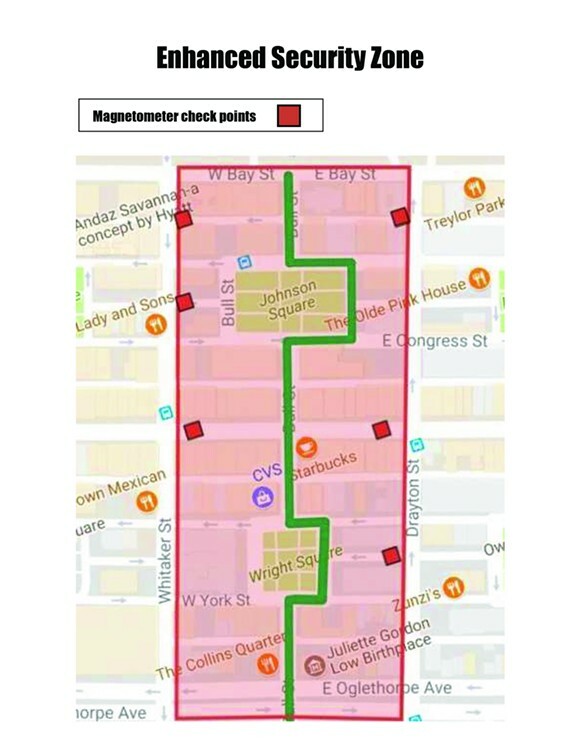 Business owners and employees will not be permitted in the enhanced security zone until the magnetometer check points open at 7 a.m.
On Saturday March 17 at 7:00 a.m., the enhanced security zone will re-open for pedestrians. All pedestrians wanting to enter the enhanced security zone must pass through a magnetometer check point. Pedestrians coming from the west side of Savannah are encouraged to use the Saint Julian Street and Broughton Street check points on the intersection of Whittaker Street. Pedestrians coming from the east side of Savannah are encouraged to use the President Street and Broughton Street check points on the intersection of Drayton Street. Pedestrians will have until 10:00 a.m. to enter the enhanced security zone. After 10:00 a.m. the enhanced security zone will be closed and pedestrians wishing to enter will be denied at the check points. Inside the enhanced security zone, pedestrians will not be allowed to cross the parade route (Bull Street) at any time until security clearance is given at approximately 1:00 p.m.
Due to the number of restrictions in the enhanced security zone, the City is providing bleacher seating. 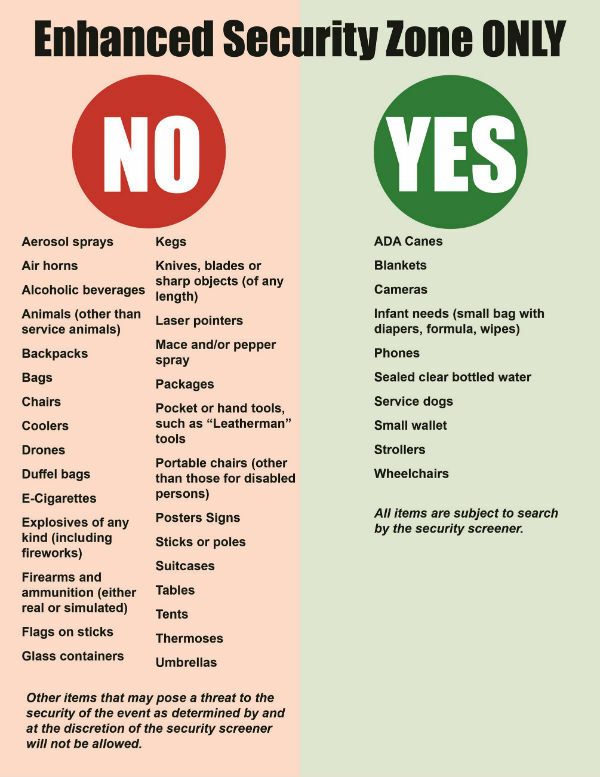 All parade goers will be able to purchase items from stores that are open inside the enhanced security zone. In addition, the City will allow four food trucks into the enhanced security zone; two will be located in Johnson Square, two will be located in Wright Square. 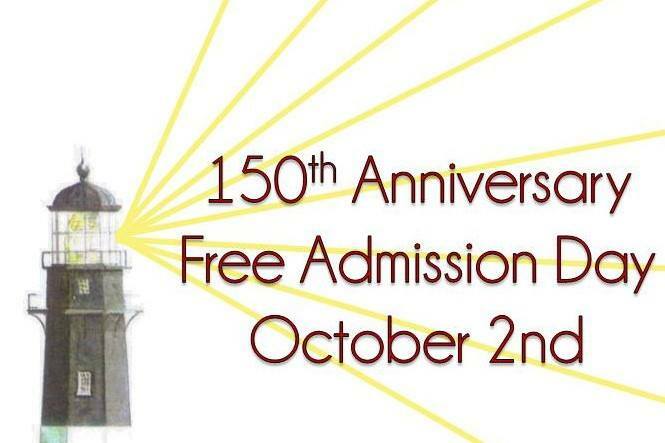 Enjoy a day visiting the oldest and tallest lighthouse in Georgia during the celebration of its 150 years of leading ships safely into port! 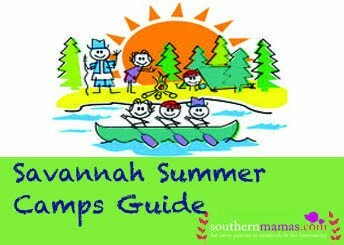 FOR MORE FREE SAVANNAH-AREA EVENTS, VISIT OUR FREE EVENTS PAGE HERE. Sea Turtle release “Going with Zoe”, Tybee Is. Bring the kids to see Burton 4-H Center release Zoe, a 5-year-old Loggerhead sea turtle back to the wild. The turtle release is 10AM-Noon Sat. Sept. 23 just south of the Tybee Is. Pier. You can help support Zoe’s Journey by donating to help reach a goal of $5,000 towards a satellite tracker to see where Zoe goes on her next big adventure. Donate online here. 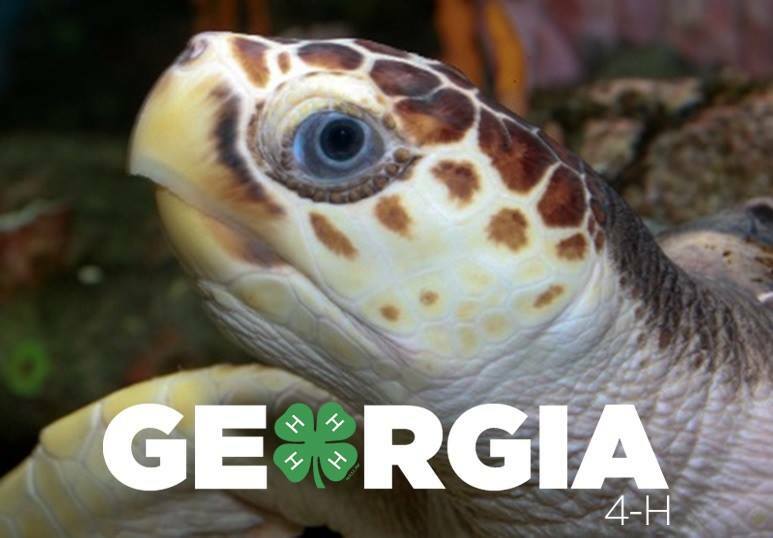 Be sure to select “Burton 4-H Center: Zoe’s Underwater Adventure.”Zoe was rescued as a straggler and has been an ambassador for sea turtle conservation with the Georgia 4-H Environmental Education program, making friends with over 40,000 people. Posted in Uncategorized | Comments Off on Sea Turtle release “Going with Zoe”, Tybee Is. Savannah-Chatham County public schools won’t be open until Monday Sept. 18, so Scribble Art Studio is coming to your rescue by offering a Hurricane Camp for kids. Hurricane Camp will offered Wed. Sept. 13 to Fri. Sept. 15 2017, 10AM-1PM, $25 a day per child. Please send a peanut-free packed lunch. For ages 4+. Call 912-713-7376 to sign up! Get those stir crazy kids out if the house and grab some coffee for yourself! Henny Penny Art Space & Cafe in Savannah offers $5 Open Studio and lots of fun Art Kits to choose from. See Henny Penny schedule of open studio themes & weekly kids’ activities here. 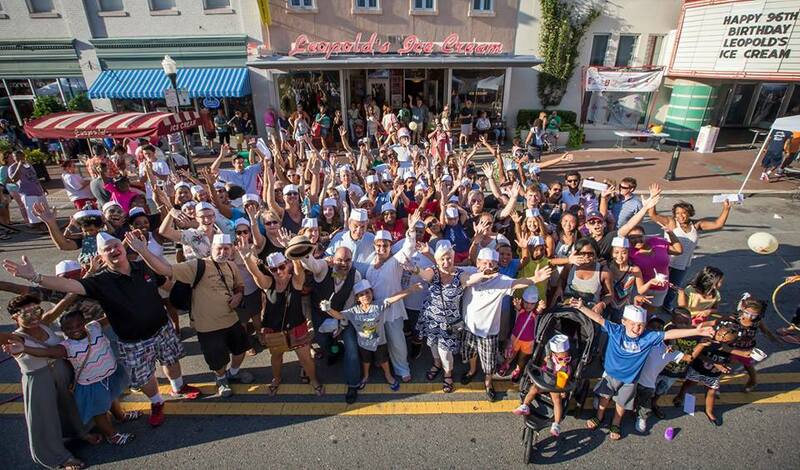 Leopold’s Ice Cream celebrates 98 years in business @ their annual Birthday Block Party, Sat. Aug. 19 2017, 11AM-7PM outside Leopold’s @ 212 E Broughton St, Savannah, 31401. You’re invited to help celebrate. Highlights include dance troupes; the Savannah Children’s Choir; the DIRTT Kids’ Zone; music, games, contests (a chance to win a year of free ice cream in a photo booth); a Dixieland Cruisers classic car show & dancing in the street. The Live Oak Public Libraries will be on hand with activities. Oatland Island will bring some of their animals to visit. Help blow out the candles and cut the birthday cake at 3PM in front of the shop. 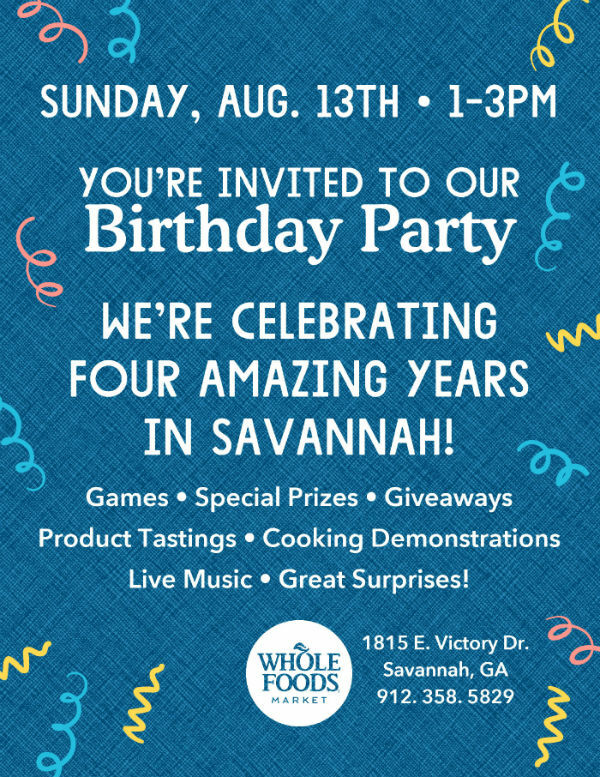 In celebration of their fourth anniversary, Whole Foods Market Savannah hosts this special store-wide party on Sun. Aug. 13, 1-3PM throughout the store. The event will feature a variety of free activities for all ages as well as prizes, giveaways, product tastings, cooking demonstrations and live entertainment. You’re invited to Whole Foods Savannah’s back-to-school party, Tues. Aug. 8, 3-6PM throughout the store. There will be family fun activities, games, prizes and giveaways. Plus, food samplings in all WFM departments along with healthy lunchbox tips. 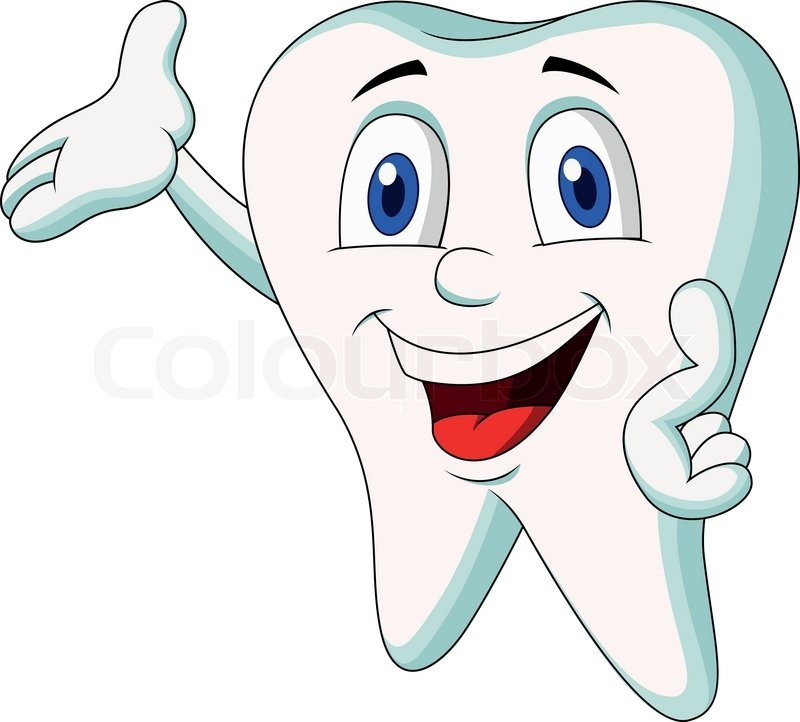 Now hiring: an experienced Dental Assistant and Dental Receptionist at Southern Dental Center in Savannah. 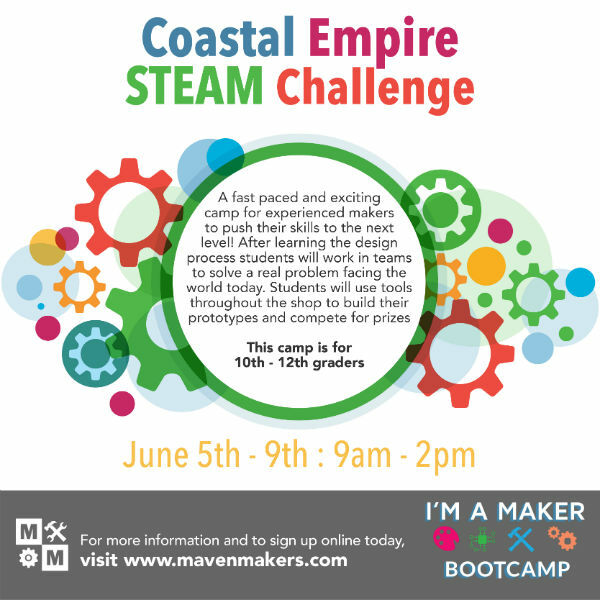 There’s still time to register for The Coastal Empire STEAM Challenge @ Maven Makers in Savannah, a makerspace that supplies tools, training, and workshops in a variety of industrial and artisan fields for a monthly rate. This fast paced and exciting camp is for experienced makers to push their skills to the next level. This class is for 10th-12th graders. Learn more here. Maven Makers offers a variety of summer camps for all ages & levels. See all the Maven Makers camps here. 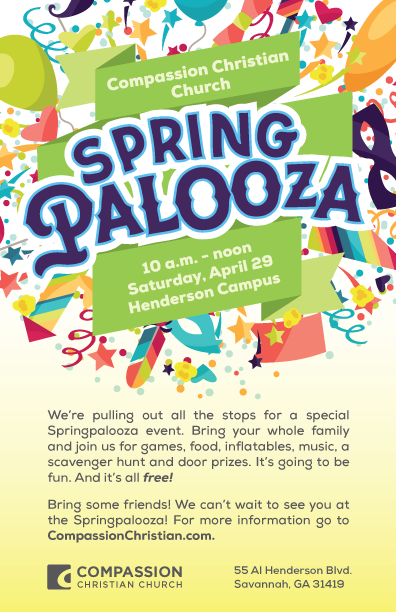 Compassion Christian Church is pulling out all the stops for a special Springpalooza event. Bring your whole family for games, food, inflatables, music, a scavenger hunt and door prizes. Invite a friend to come with you. It’s going to be fun. And it’s all free! The Humane Society for Greater Savannah will host its 17th annual Doggie Carnival on Sunday, May 7 2017, noon to 4PM at Forsyth Park. Admission to the carnival is free but there are fees for some activities. All proceeds benefit the Humane Society for Greater Savannah. Earth Day Festival is a celebration of being environmentally responsible. It is one of the largest educational Earth Day Festival in Georgia. It promotes environmental stewardship, sustainable local economy, conservation and health wellness. The Forsyth Farmer’s Market will have it’s regular set up and many of the farmers will stay throughout the festival. Food – Beer – Live Entertainment – Kids Activities and More! 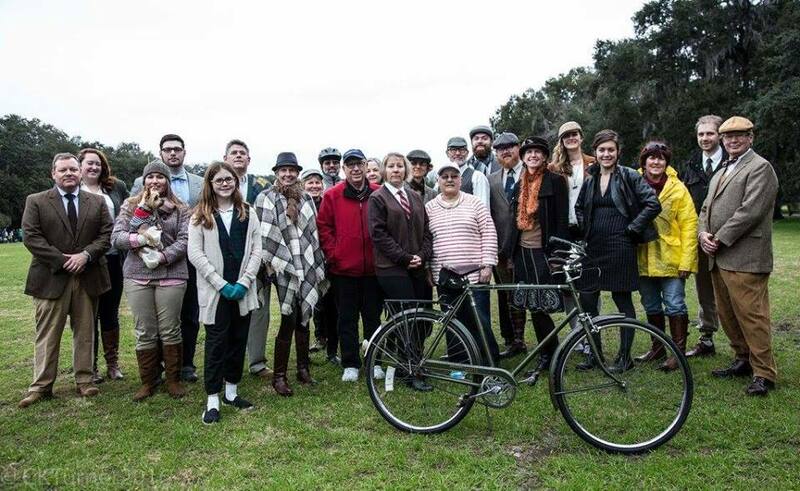 The fourth annual Savannah Tweed Ride will leave from Forsyth Park (near the basketball courts) at 2PM this Sunday, Feb. 12 for a leisurely ride around Savannah. The bike ride is free and open to the public. Following the ride, there will be a Lords and Ladies English Lawn Games Tourney (cost $5 per participant) featuring traditional English lawn sports. The cost is only $5 per participant. A portion of the proceeds will benefit the Savannah Bicycle Campaign, and a portion will go toward a tournament prize pot! Trophy cups and medals will also be awarded to the top two teams! 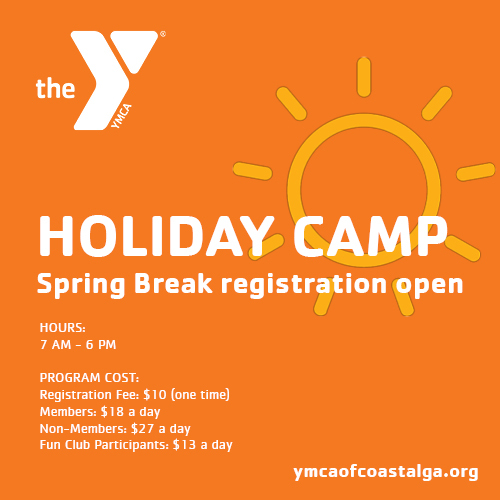 When school’s out for Spring Break 2017, send your kids to the YMCA’s Holiday Camp where they’ll be engaged in fun, healthy activities. Space at each location is limited. You are encouraged to register your student early. Learn more & download a copy of the registration form here. 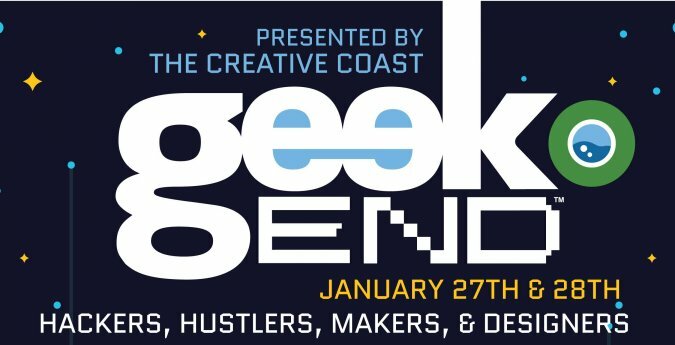 Here are the FREE 2017 Geekend Events & Exhibits that are open to the public on Sat. Jan. 28, 11:45AM-2PM @ Guild Hall Campus in Savannah. Children must be accompanied by an adult. This is THE showcase of kids creating not just consuming technology. Drop in to check out student coded video games, cast a vote for your favorite, and learn about the possibilities of coding. This event, and the 3D modeling workshop before it, and the session with Chris Kelsey following it, are free and open to the public. If you are bringing children, please plan on staying with them for the duration of the event. 3D MODELING WITH THE GEEKBOT. This free and open-to-the public session will teach students the basics of 3D modeling, starting with Geekend’s favorite 3D model, the Geekbot. After the session students will have a file they can take to a 3D printer to make their model come to life. If you are bringing children, please plan on staying with them for the duration of the event. Thanks to Shipt for the snacks. Do you like to discover cool new video games? Stop by the Indie game arcade and sample some video games that have been created by Savannah area video companies and developers. Vote for your favourite game and the winners will receive a special prize from Indie Game Sponsor – Project MQ. You will also have a chance to sign up for Project MQ – an indie video game discovery platform that will launch shortly.